When Marnie Was There plays on Wednesday, August 12 at New People Cinema. Japan Film Festival 2015Opens Friday at the Castro Theatre and New People Cinema. The J-POP Summit has broken some otaku hearts by moving from Japantown to Fort Mason, but the Japan Film Festival is keeping the home fires burning this weekend and beyond at the New People Cinema. That's after the big opening night gala at the Castro Theatre, featuring a 35mm screening of Sogo Ishii's gonzo 2001 film ELECTRIC DRAGON 8000V, starring Tadanobu Asano as a man who can shoot electricity from his fists; sparks fly, as it were, when he does battle with a similarly electric guitar hero (Masatoshi Nagase). Tadanobu Asano will do a Q&A after the screening, followed by an Eyenoise extravaganza featuring DJ Ken Ishii and Akira animator Koji Morimoto. 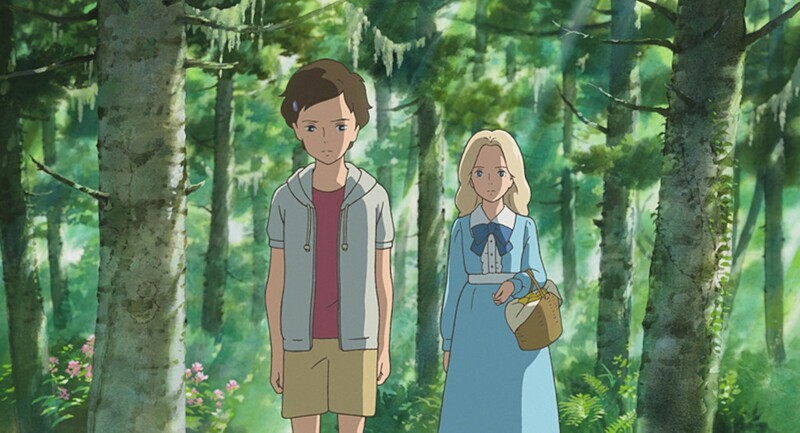 Highlights back at New People include one of this year's best films, Hiromasa Yonebayashi's Studio Ghibli anime When Marnie Was There, about a troubled young girl who discovers friendship from an unusual source. Ghibli is also represented by Hayao Miyazaki's 2013 The Wind Rises, a fictionalized but controversial telling of the life of Jiro Horikoshi, who designed the Mitsubishi Zero during World War II. On the live-action front, there's the 2003Blind Swordsman: Zatoichi by Takeshi Kitano ("Beat" Takeshi if you're nasty), starring Kitano as the visually-impaired samurai of the title and ELECTRIC DRAGON 8000V's Tadanobu Asano as his ronin nemesis. Help keep Japantown festive!